Why Do I #CripTheVote? 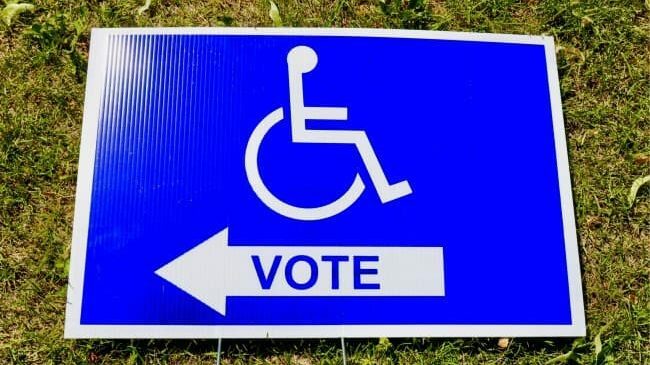 Because the Disability Vote is Power. This post is part of a partnership between #CripTheVote and Rooted in Rights. As a child, I didn’t think being disabled had anything to do with voting, or vice versa. I saw that my parents always voted, but I didn’t see it as an important part of my life as an American. Experience taught me just how wrong I was. When I was 18 and first tried to vote, I almost didn’t succeed. There were many hurdles, including obtaining transportation, filling in my ballot, and proving my identity. I had no driver’s license and didn’t yet have a government identification card. My disability didn’t completely destroy my capacity to vote, though. I didn’t have to worry. I had my brother to vouch that I was who I said I was. “Can you vouch for him?” The volunteer asked my brother, flitting his hand toward me. I was already stressed, and now I felt my identity being doubted. I felt small. I remember that I had “spoiled” a few ballots. My spatial reasoning is impaired, and the ballots were cluttered to the point that I struggled to fill them in properly. The third ballot was the charm. I remember being both ashamed at the looks I got from the voters and volunteer staff, and also proud that I was finally voting, my hands trembling as I slid the ballot into the slot of the voting machine. From my place in the passenger’s seat, after I had cast my vote, I thought to myself: what if I didn’t have my brother? If there was no champion to vouch for me, would my voice go unheard? How many people are turned away because they don’t have a license? How many people go unrecognized because they don’t have reliable transportation? “You’ll be able to drive by then” he insisted as we turned down the quarter-mile-long dirt road to our childhood home. It’s been six years. I still don’t drive. But I’m fortunate. I now have a government Identification card. My brothers don’t drive me, but my parents do. And yet, my disability leaves me in a precarious position — moving from one chauffeur to another. “What will I do when you aren’t here?” I ask that question to my parents now. In a rural area where public transit is non-existent, the answer isn’t a good one. If I lose the support of my aging parents, I too will go unrecognized. I vote while I can. I vote, even when it’s difficult, because voting might be stressful, but it’s important. I vote for myself. Living with a disability makes it difficult to get and keep a sense of belonging. I frequently feel that disability is my personal struggle — that I don’t have a voice. When I vote, I get the feeling that I’m part of the fabric of America, not just as a voter or a disabled person, but as both at once. When I vote, I not only reclaim some of the political power lost to my disability, I become someone empowered and emboldened. I vote for others. I still ask myself those questions from the passenger’s seat, my father beside me; the combines standing sentry on the way to the small building that houses a single voting machine for the town’s 74 residents. I wonder how many people walk like me, talk like me, think like me, live in places like this, and are locked out of the political process. I vote because there is power, agency, and dignity in voting. When I cast my ballot in November, I will be claiming this power for myself, and showing that others deserve and demand it as well. That’s why I #CripTheVote. Randall Oldenburg is a writer and thinker who is primarily concerned with topics in disability studies. As a philosophy student, he worked primarily on issues at the intersection of disability, language, and ethics. As a fledgling freelance writer and hopeful future activist, Randall is now focused on issues related to disability, political philosophy, and economic wellness.